(NewsUSA) - Sponsored News - It is no longer a brave new world for businesses. The digital age is here, and if experts are to be believed, businesses that have not already embraced this opportunity, risk joining those companies that refuse to adapt, and consequently are rapidly losing customers and revenue. Consider this: according to the statistical website multpl.com, during 2015, S&P 500 companies as a group lost 3 percent in sales and 15 percent in earnings. At the same time, "Unicorn" private sectors companies, which are valued at more than $1 billion, including organizations such as Uber and Airbnb, are transforming the global business landscape in the digital age and quickly stepping over the old guard. * Experience-Centric. These companies strive to offer the consumers a unified experience. * Service-Oriented. These companies change the operating model to focus on customer experience. * Agile & Lean. These companies optimize their size for fast-paced maneuvers. * Ecosystem-Driven. These companies collaborate to extend the ecosystem beyond the enterprise. "Going forward -- with the disruptions in the business landscape due to digitalization, new age business models and technologies -- the thinking of 'business as usual' and expecting to succeed needs a change," cautions C. Vijay Kumar, President, Global Infrastructure Services, HCL Technologies. "An enterprise can no longer operate in isolation." Instead, says Kumar, an enterprise has to look at a holistic business model transformation, overhauling its business functions and operations for a unified experience. A business must hyper-focus on services and collaborate across the entire ecosystem for success. While there is no blueprint for success, Kumar believes HCL can help guide companies through digital transformation and ultimately be successful through 3rd-generation, IT-outsourcing partnerships. HCL defines this as Next-Gen IT & Operations, and is uniquely positioned to offer integrated transformation services across applications and infrastructure, while adding the unique elements of hybrid cloud and DryICE, HCL's 3rd-generation automation platform. C. Vijay Kumar adds that key elements of HCL's differentiation include "Digital Infrastructure Transformation that leverages our capability in implementing Software-defined Infrastructure Stack, Hybrid Cloud Solutions, Unified Communications and Modern workplace solutions." HCL's DryICE automation encompasses 30-plus components, including some of the traditional automation solutions and orchestration, machine learning and cognitive solutions. This is a modular approach, enabling enterprises to be lean and agile, and has been implemented across all of HCL's top customers while gaining significant traction among new customers. HCL's Next-Gen IT&O approach adds significant value in making enterprises agile and lean for the digital age. It focuses on end-to-end technology transformation, preparing www.hcltech.com. 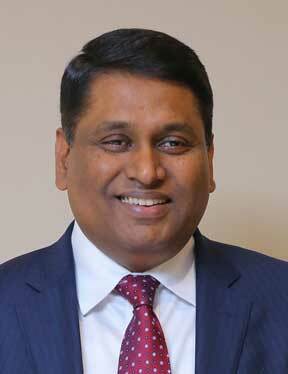 C. Vijay Kumar, President, Global Infrastructure Services, HCL Technologies.